Iuliana is on live RIGHT NOW! I have to say, I think school uniforms is a good idea. It looks sharper than the stuff a lot of kids wear here, and avoids the stresses of poorer kids feeling inferior if they can't afford the designer labels others have. 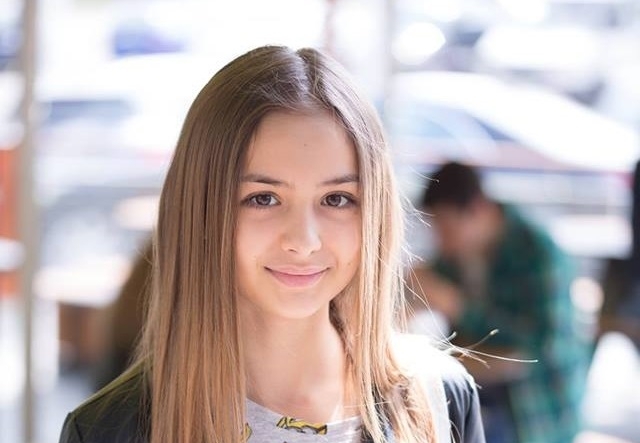 IULIANA BEREGOI launches the serial film "LARA"
Just 13 years old, Iuliana Beregoi has earned her fans with her sincerity, charisma and talent, bringing together nearly 300,000 subscribers to her own Youtube channel and tens of millions of views for the two singles "My fault" and "I'm doing what I feel". Now, the singer - vloggerita, originating in the Republic of Moldova, launches the first episode of the action series "LARA", a production MIXTON MOVIE - a division of MIXTON MUSIC. After a concept created by Catalin Dascalu, the success of the young artist, the film is divided into seasons, with episodes appearing monthly, and tells a true story in the life of a teenager who has lost her memory, lost in a metropolis without parents or close relatives. The whole action is taking place around her and the new friends she makes, alongside confronting limp and unexpected situations that will keep both the children and the big ones with the soul to the mouth. "I think I'm the happiest and lucky person in the world! The first time I heard the idea of ​​this serial film from my manager Catalin Dascalu, it seemed to me to be a dream almost impossible to achieve. And now, I can not believe we're already launching the first episode. I hope you like what's coming out, especially because it's created and thought out of love for all my fans. I will love and love!" Ciprian Iacob was the director, and in the secondary roles we can find Mihai Ungureanu, Vlad Baba and Erika Moldovan, and the series can be found online on the Youtube channel - MIXTON MUSIC. At the same time, the song that gives the name of the "Lara" series will be released on September 7, along with her video, which will be called "Generation Z". Making the Video with Iuliana! The first part of the video is captioned, and if you go to the Setting wheel under the video and change the Auto Translate for the subtitles from Russian to English, you can actually understand everything she says.